Our relaxed, community focused shopping centre caters to a wide variety of people with various interests and needs. At the moment Glengarry Shopping Centre boasts, among others, men’s and women’s hairdressing services, a bakery, a designer jewellery store with an in-house designer, a news agency, an award winning coffee shop, multicultural cuisine, gift-ware , optical services and beauty therapy services are also available. There’s also a florist for that last minute gift if you are visiting Glengarry Hospital. If it’s clothing alterations, pool and spa maintenance, health and fitness advice or ATM services you need – we have those covered as well! 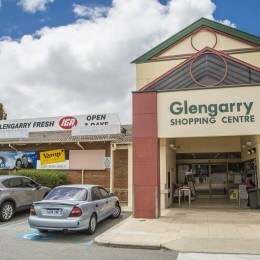 Glengarry Shopping Centre boasts many family owned and long established businesses, from an award winning bakery to the ‘best coffee in Perth’ coffee shop. Make your next shopping experience a pleasant one at Glengarry – with good old-fashioned local service and plenty of parking available.